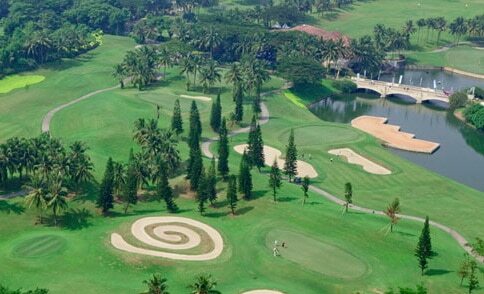 Imperial Klub Golf is located in the new town of Lippo Karawaci, 25 minutes from downtown Jakarta and 35 minutes from Jakarta’s International Airport. 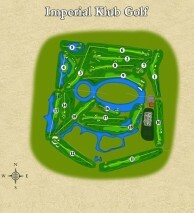 Imperial Klub Golf is a public golf course designed by British course architect Desmond Muirhead. 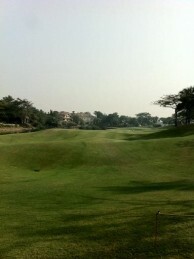 This Jakarta golf course is more difficult than most and plays to over 7200 yards from the back tees. Several professional events held at Imperial Klub included the Jakarta Classic in 2013. 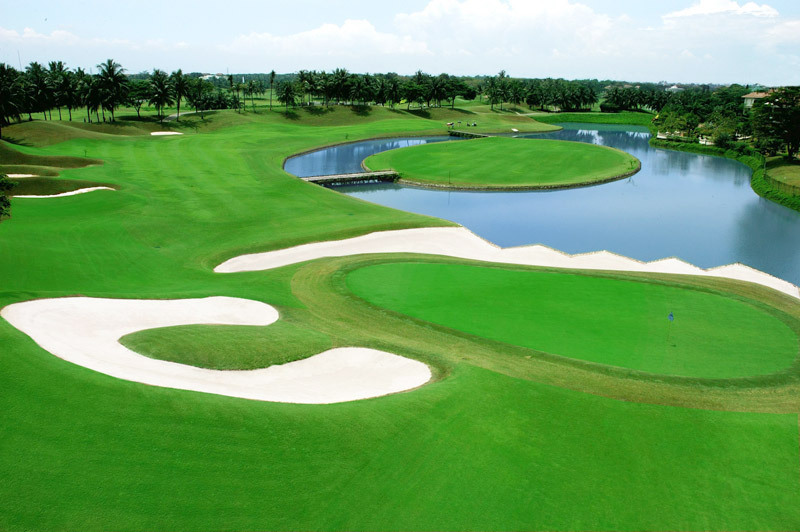 The course is designed so that each hole is unique. Muirhead, renowned for developing rather unforgiving courses carries on his tradition at Imperial Klub Golf. There are many examples of this. 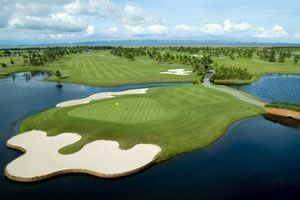 Hole 4 features an island fairway which requires a 200 yard carry off the tee followed by a long second shot to an island green. When the wind is up the island green plays small and will test golfer’s accuracy and confidence with a long iron or hybrid. Imperial Klub also has an island par-3. 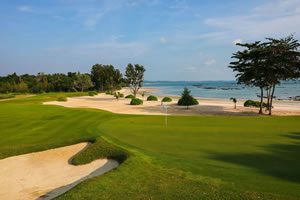 Hole 5 plays 157 yards to an island surrounded with concentric circles of not only water but also sand. The 5th will stick in golfer’s minds for a long time. The finishing holes on each nine are the signature holes. Both are par-5’s flanked by large lakes. The left of hole nine features a lake spanning all the way from the tee box to the green. The lake creates a narrow fairway that makes for more challenge when there is wind. Golfers having a good round should be forewarned that the final hole can easily lead to a double bogey or worse if not played with extremely accurate shots. The clubhouse is rather old but does have lovely views over the course and the 18th hole. The restaurant serves Indonesian, Japanese, Korean and Western food. There is a driving range but poorly maintained. 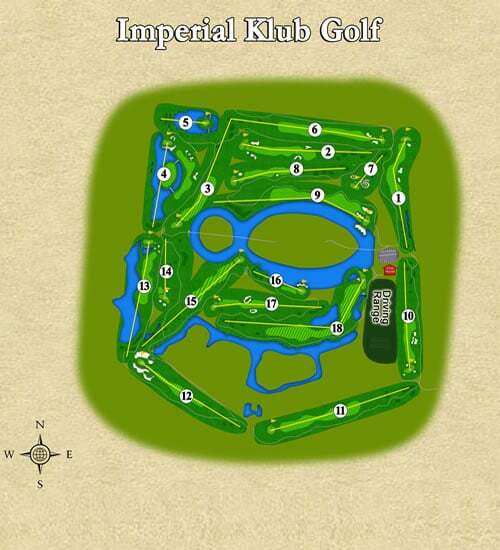 Service at Imperial Klub Golf is more geared to local golfers. It is hit-or-miss with the caddies too, although they all have sweet smiles. 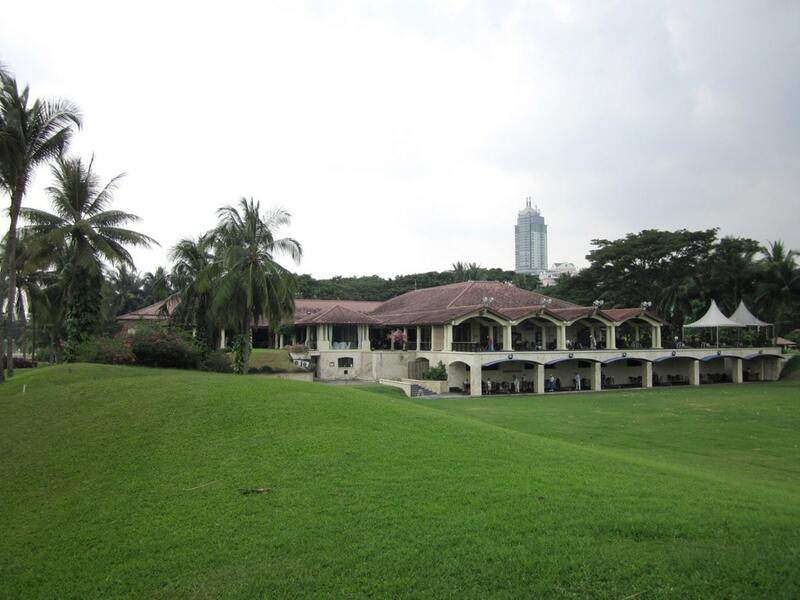 Due to its location and low weekday cost, the golf course is jam-packed seven days a week. 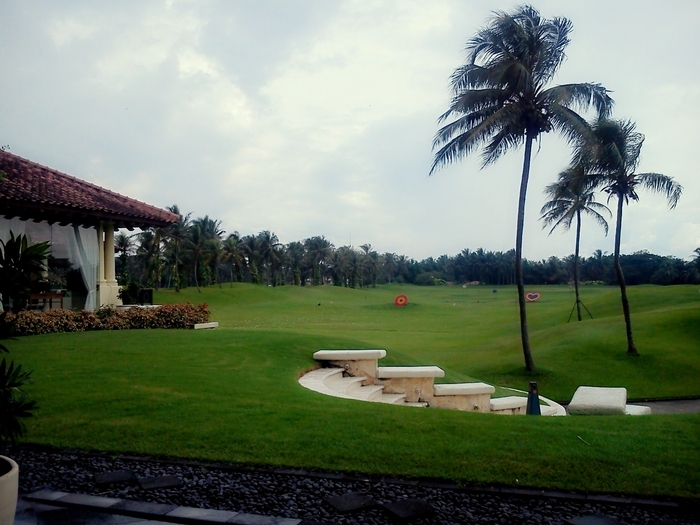 Have you played golf at the Imperial Klub Golf and took some nice photos that you would like to share with other golfers? Send them to us and we may upload them here. Thank you in advance!